The seconds traveled to Penicuik for the first time in many years, due to the rearrangement of the second team leagues. The team had only 16 players available so the manager was hoping for no injuries during the game. We were welcomed in a very friendly manner with some of the Penicuik players from the same vintage as the LRFC manager remembering old days and games from the past! However when the game started it was anything but friendly with a strong old and heavy Penicuik side determined to intimidate and bludgeon our much younger and light weight squad. The team captained by Gus McNab and with Euan Murray and Ali Walker in midfield tackling all that came at them kept the Penicuik side at bay. Euan Conlan, playing at scrum half in the absence of Robbie Thomson, got the ball away quickly and was quick to act to any bad ball. In fact because of his size he did get some harsh treatment which was not punished by the referee. All of the team were playing for each other with the front row of J Dyet, the Chess Master and Stevie Grant giving away both weight and age to the opposition. 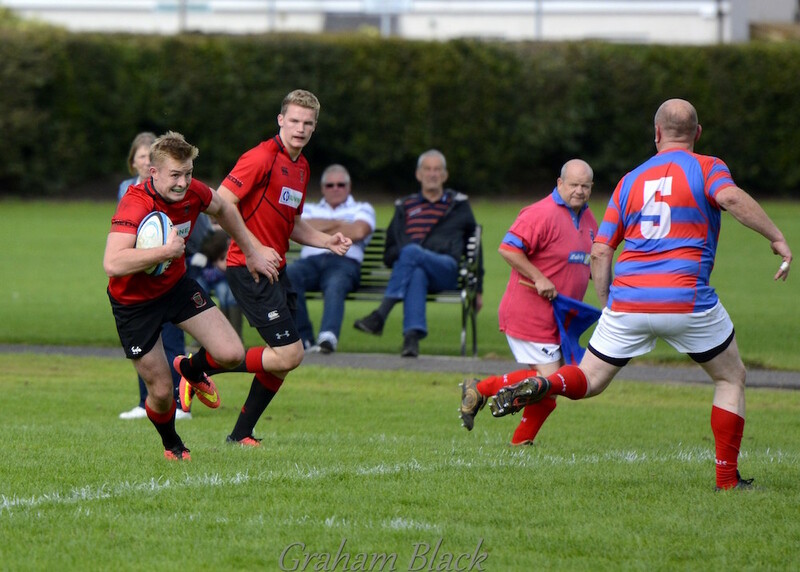 Luckily the Manager reminded the referee early on that under 19 rules applied to second team rugby. This meant that we managed, in a controlled manner in the scrums, winning and holding on to our own ball which gave James Timlin and the backs the opportunity to run. Lewis Herdman and Bruno Mochrie were tacking well and assisting the centres in attack and from one such move, Bruno Mochrie made a number of sidesteps, cut inside and motored forty metres to the line. Euan Murray converted to make the score 7-0. With the team rearranged due to James Timlin’s knee strain, meaning he had to come off, Gus made enough of a recovery to go into the second row. (“No sprinting there” Gus said!) The team was still fighting and were determined to score. Mus moved to standoff which added some robust play to the attacks. After a series of drives where Euan Conlan, Conall Black and others claimed to have touched down, Muzz (Euan Murray) eventually went over in the corner. 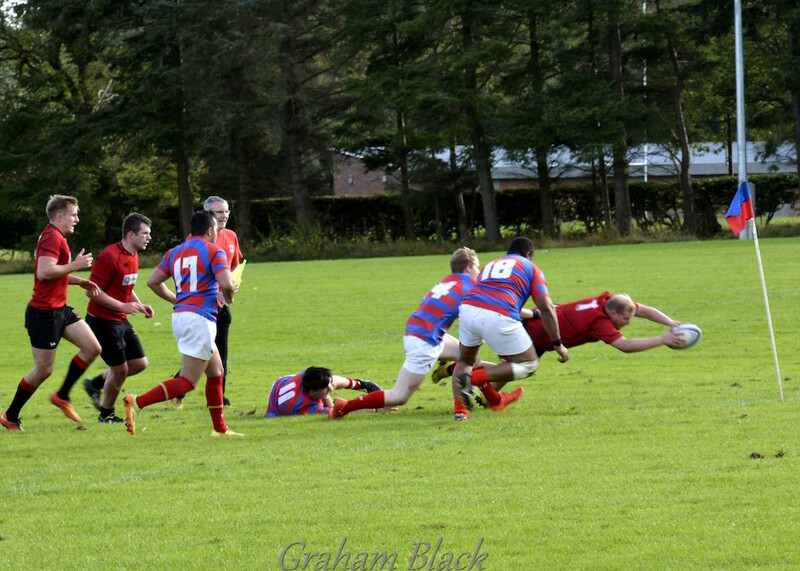 He missed the conversion to leave the final score 14-12 to Penicuik. A disappointing end for the young Reds 2s to a well fought match. Both teams deserve praise for their efforts and on another day it might have gone our way.